I have written extensively about acupuncture since it is one of the most widely used and accepted of the alternative therapies. It is also complex, with many different definitions, associated theories, and a huge body of relevant research evidence. Sorting through all of this to make a rational, evidence-based assessment of whether any of the various practices called acupuncture have legitimate, demonstrable medical value is challenging. Over the years, my assessment has evolved, so I want to start by summarizing how I currently view this practice. A general definition of acupuncture that captures most of the claims and practices of modern practitioners would probably be something like, “the insertion of fine needles into specific locations on the body with the intent of producing beneficial health effects.” This is necessarily vague because there are so many different and mutually inconsistent rationales and theories for how acupuncture is supposed to work and so many different clinical practices. Some say acupuncture manipulates mystical spiritual “energy” while others claim it works by stimulating nerves or inducing release of a variety of neurotransmitters or other endogenous compounds. Some acupuncturists place needles at points all over the body, and others limit their needling to the hand, or the ear, or other specific parts of the body. There is nothing like a consistent, agreed-upon definition or map of acupuncture points and channels. Even the use of needles is not universal, and sometimes needling is accompanied by electrical stimulation, the burning of herbs on needles, and many other practices. Some of the theoretical constructs used to explain or justify acupuncture are clearly more religious than scientific, and there is no point in talking about Qi or spiritual energies if one is trying to seriously evaluate the use of acupuncture as a medical therapy. However, there are more plausible potential explanations involving the physiological effects of needling in locations associated with nerves and other anatomic structures. My current view is that while needling undoubtedly has physiological effects, it has not been convincingly demonstrated that these are predictable, repeatable, and controllable to achieve beneficial clinical outcomes. I also am not convinced that acupuncture points or channels exist as a consistent network of identifiable anatomical structures that can be predictably identified and manipulated to achieve a desired clinical goal. It is not impossible that this is true, but the literature is not compelling. There is an enormous amount of basic and clinical research on acupuncture, and a lot of it appears to show meaningful clinical effects. However, acupuncture is challenging to study because it can be hard to define “real” and “fake” acupuncture, it can be difficult to effectively blind patients to whether they are receiving real treatment or the sham, and it is impossible to blind acupuncturists. The demeanor and style of communication of acupuncturists has been shown to affect the perception of patients as to whether or not they benefit from treatment, so this inability to blind therapists is a real problem. Ultimately, much of the acupuncture literature cannot be viewed as very reliable due to these and other sources of bias. The best controlled studies seem to suggest that acupuncture affects subjective symptoms and perceptions more than objectively measurable indicators of disease. This is most consistent with a placebo effect, and perhaps some very non-specific physiologic effects. However, there is some room for rational uncertainty about the extent to which acupuncture might have small benefits in terms of pain, nausea, and a couple of other clinical symptoms. There are definitely risks associated with acupuncture. Human patients have experienced dizziness and other unpleasant subjective symptoms, though again whether this is directly due to acupuncture or a nocebo effect is difficulty to determine. Infections and injuries from needles, sometimes serious, have been reported. Overall, serious adverse effects seem to be quite rare when experienced, formally trained acupuncturists are doing the needling. Most of the theories behind how acupuncture might work are either complete nonsense or at best not fully validated by convincing evidence. There is clinical research that shows some benefits from acupuncture treatment, but this is mostly in terms of subjective symptoms and seems likely to be predominantly a placebo effect. Acupuncture is pretty safe, though there are some risks, especially when proper technique is not used. Given this assessment, it will likely come as a surprise that I have signed up to take a training course in acupuncture. There are several reasons for this, and since I intend to share my experiences through this blog, I thought I would start by describing my goals and intentions at the beginning. While I am perhaps 75-80% convinced acupuncture operates primarily as a placebo, as I said there are some plausible potential mechanisms by which it could have true clinical benefits, and there is some reasonable quality clinical literature to support these. In the interest of a truly skeptical evaluation of acupuncture, and following the principles of proportioning judgment to the evidence, I am interested in exploring some of the claims, theories, and evidence for acupuncture in more detail. The best way to do this is not only to seek information from sources that agree with my existing views of the practice but to engage with supporters and advocates who have different views. Challenging one’s own beliefs is a core value of skepticism, and I am hoping to put that into action. Additionally, acupuncture is quite popular in veterinary medicine, at least where I practice. I have a moderately large number of clients who seek it out, as well as a number of colleagues who practice conventional, science-based medicine exclusively yet recommend or refer for acupuncture treatment. Currently, I share with clients who ask about acupuncture the views I have outlined above and emphasize that the existing evidence in veterinary medicine is limited, weak, and gives little reason to expect much harm or much benefit from the practice. Despite this uncertainty, pet owners will often choose to try acupuncture anyway, even without much evidence it will benefit their pets. Currently in my area, the only way for them to receive this therapy is through a few local holistic veterinarians who not only practice acupuncture but who are fully committed to TCVM and other pseudoscientific practices and who actively counsel their clients to avoid science-based care. Despite some misgivings, I have come to feel that these patients would be better served receiving this therapy from someone who will be honest with clients about the lack of good evidence for real benefits and who will continue to provide them appropriate, evidence-based care as well. If acupuncture is, at worst, a relatively low-risk placebo therapy, then these patients will be better served by this approach than by being handed over to practitioners with a broader alternative, anti-science agenda. I have long been interested in investigating acupuncture more directly, but I simply could not stomach the thought of slogging through textbooks and lectures than talked about Qi, Ying and Yang, the Five Elements, pulse diagnosis, and all the other TCVM folklore as if it were a legitimate way to approach health and disease in the modern world. Fortunately, I have the opportunity to take an acupuncture training course that largely eschews this sort of mysticism, Medical Acupuncture for Veterinarians (MAV), taught by Dr. Narda Robinson. Dr. Robinson is a professor at the Colorado State University School of Veterinary Medicine, where she teaches and practices comparative and integrative pain management. She is one of the rare proponents of alternative medical practices who I believe has a genuine commitment to evaluating these through rigorous science, and she is a well-known opponent of pseudoscience in veterinary medicine. Dr. Robinson and I have spoken together at the AVMA annual conference, and we have interacted through our efforts on behalf of the AVMA resolution condemning homeopathy and through this blog. We often disagree about the conclusions that should be drawn from the evidence concerning acupuncture, glucosamine, and other specific topics. But it is not necessary to always agree in order to respect someone else’s efforts and goals. Scientific medical acupuncture utilizes modern medical knowledge of anatomy and physiology to design treatment protocols based on rational mechanisms of action and objectively identifiable endpoints without resorting to folkloric diagnostic approaches or metaphorical ideations. Veterinary medicine should be scientific and evidence-based. I think that is a perfectly sound and reasonable way to approach the practice, and while Dr. Robinson has not yet convinced me that the evidence actually supports medical acupuncture as more than a placebo therapy, I accept that we share a commitment to a scientific approach to the question, so I am willing to evaluate her claims and the evidence she uses to support them carefully and seriously. MAV consists of a series on online modules, followed by an onsite practical training course. Over the next eight months, I will be working through the online modules and preparing for the practical training. I plan to evaluate the content of the modules as thoroughly as I can, drawing on critical appraisal of published evidence, and then share my thoughts through a series of posts. If I ultimately begin providing acupuncture services to clients, I hope to write about those experiences as well. This adventure, of course, raises the question of whether I am succumbing to the exhortations often made by advocates for alternative therapies to “try it and see for yourself.” If I start treating patients with acupuncture, even while clearly disclosing that it is most likely an elaborate placebo, and these patients appear to improve, will I become a convert to this therapy and start sliding down the rabbit hole into a Wonderland where every therapy works so long as someone has tried it and thinks it does? That seems unlikely. I am well aware of the many cognitive biases and other sources of error that make uncontrolled personal experience a poor guide to cause and effect relationships. I make use of many treatments for which there is little real scientific evidence, as everyone who practices veterinary medicine unfortunately must given the paucity of high-quality research in our field. And some of these therapies sure look like they work! But I am always aware that this perception is based on shaky ground, and I have so far had no difficulty accepting new practices and abandoning familiar ones when good quality research evidence emerged that contradicted my intuition and experiences. My goal in learning about and potentially employing acupuncture is not to validate or invalidate the practice through my own clinical experience, since this is not how science-based medicine works, but to engage with the theories, claims, and evidence in more depth and to hopefully minimize the exposure of my patients and clients to the egregious pseudoscience and anti-science ideologies of most of the veterinary acupuncturists they currently have access to. How much is the acupuncture course? Maybe I should take a tplo Cruciate surgery course. Let us know if you see anyone sticking needles in the necks of fancy chickens. Hmmm, do I smell sarcasm? So we can have a frame of reference you should have also given us your percentages for homeopathic medicine and the sky fairy so we can compare you with what the general public thinks. I’m guessing if you question people outside the USA and China most people in the entire world would not be as optimistic as as you about acupuncture. I will post some studies if I can find them. good on’ya. when i lived in australia, the vet i saw became certified in acupuncture because he saw enough patients that seemed to be helped (even if it was a placebo). i am committed to evidence-based medicine and we had exhausted all treatments for my dog, who had pain from hip dysplasia and ankylosing spondylosis. my vet treated her with acupuncture, and i was happy that he could do that. i wouldn’t have gone to a “woo” vet. as it was, the first few times, my Terra seemed to improve somewhat. based on walking easier (yes, my subjective view) and getting up and down the few stairs with less trouble. i wanted the medications to work and never saw improvement. the acupuncture was a hail mary pass, i had little if any expectations, and did see improvement. it wasn’t long lasting unfortunately. as you know well, the statistics are population-based and may or may not reflect an individual’s response. one day we may have better markers to predict an individual’s response to a medication / treatment. I will say, I’m a little concerned with this endeavor. I think it’s great to take the course to “know thine enemy,” etc. but it worries me to hear that you’re considering offering the service in your practice. Even if people are going to woo doctors who are anti science, I don’t think that’s a good enough justification to compromise and give acupuncture any more allure of evidence than it already has. The more ‘regular’ vets people see offering acupuncture as a service, the more likely they are to see it as a legitimate practice. Whereas for more reasonable people, if they have to go to an alternative doctor to get their acupuncture, and are forced to see it alongside the other stuff with which it belongs (energy healing, astrology, homeopathy, herbalism,) they may reconsider their choice and seek EBM. It seems to me like you would be pretty hypocritical to criticize other vets for working with their clients who want to feed raw diets, or the AVMA for trying to appease those desiring homeopathy. If being a vet is only about doing whatever the client asks for, I don’t know if I want to be in the field anymore. I appreciate your concerns, and believe me I have given them a great deal of thought over the years. The issue of conveying a false impression of scientific legitimacy to a therapy that doesn’t merit it is a legitimate one. I would, however, disagree with a few of your points. The reality of our profession is that we cannot dictate to clients, we can only educate and advise. “Working with” clients who choose therapies we don’t believe to be safe or effective is a must if we don’t wish to abandon these clients and their animals. Plenty of my clients feed raw, and while I give them the facts and my advise on the subject, I don’t refuse to treat them over this or most other choices I disagree with. So while I agree that there is more to the business of client communication than simply giving them whatever they want (which I quite clearly do not do), there is also more to it than “my way or the highway.” The optimum balance between these extremes is a subject of constant re-assessment in terms of changing information and individual circumstances. After 15 years of practice, I have not found that telling people about the evidence dissuades them from seeking acupuncture or many other therapies. This experience is supported by evidence showing that facts rarely change deeply held beliefs in the short run (anti-vaccine attitudes, climate change denial, etc.). Some other strategy is called for. 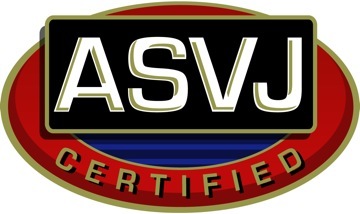 Part of this is the entire body of work I am engaged in in promoting evidence-based medicine among vets and pet owners. 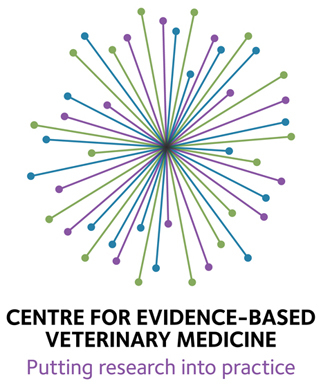 Some is improving the evidence base for veterinary medicine so we can make more confident statements about science-based treatments, which I am also involved in. One small component of this may be not forcing clients to seek acupuncture from therapies who will lobby them strongly against science-based medicine as a whole. Do I have a better chance of promoting effective, science-based care if I agree to provide acupuncture with full disclosure of the evidence and a requirement that science-based therapies also be used, or if I simply send these clients away to a TCM practitioner? I can’t say with certainty, but I think I am more likely to ensure both appropriate care for the patient and an ongoing opportunity for educating the client by providing this service under these conditions. I also don’t see any hypocrisy here. I don’t criticize vets for “working with” clients who have unsubstantiated views and practices. I criticize them for making unjustified claims without or contrary to the evidence. I don’t see that I am doing what I criticize others for here, though I understand how it could appear that way. In any case, I am embarking on this course with the intent of understanding and evaluating the claims and evidence for so-called medical acupuncture more deeply and as an experiment for a new way of responding to the pervasive interest in the use of alternative therapies in preference to science-based medicine by clients. We’ll just have to see how it goes and what comes of it as I go through the process. A lot of issues to think about. I side with Emily I think on this one. I’m not going to refer to a “scientific” homeopath or acupuncturist because neither is going to tell the client my “belief “that the chance of either working beyond placebo is about a snowballs chance in hell. The vet that I referred clients to for acupuncture before I got into ebm was our local Avma representative. Now with political power and money the veterinary acupuncturist have banded together to teach acupuncture at the Florida vet school to students. Refer to a “scientific “acupuncturist and just follow the money. The more money clients spend on “scientific”acupuncture the less money they will have to let me practice medicine that works and the more money will be spent at the vet schools teaching “scientific” acupuncture to students who will want a job to practice “scientific” acupuncture. I think i would just be trying to mix apple pie with “scientific” cow pie. I’m only going to say, I think I understand, skeptvet. Oh, and should you decide to incorporate acupuncture into your practice, please keep detailed records on what the client is also doing at home (i.e., +/- meds, other therapies, etc). Can’t wait to follow your adventure! Good for you for looking deeper into the subject. It’s easy to criticize from the sidelines reading articles. I understand you are doing this to understand more and that is commendable. You need to have some skin in the game to be credible yourself. Be warned though, this may change your world as you know it. Remember, you do not know what you didn’t know and that’s not your fault. Good luck on the journey. I went through Narda’s class 6 years ago and it was one of the biggest practice changers I have gone through since graduation. I too doubt everything, and even as I learned acupuncture and started using it on my patients, every time I put a needle in I said, “This is never going to work.” But somewhere around 90% of the time, it did. My patients response to treatment convinced me. 90% is not a placebo or caregiver placebo response. As you go through Narda’s class, you will see that there is some science behind every single point you learn. Have fun and buckle up, its going to be a great ride! Thanks for the comment, Michael. As you can see, I have been digging into the literature mentioned in each of the lectures, so I’m getting a good picture of the science. As you will also see, I’m not convinced it’s that it supports most of the claims made for acupuncture. There clearly are some responses to electrical nerve stimulation that have some promise for clinical use, but that’s a pretty small piece of the puzzle. The problem, of course, is that ultimately Narda and everyone else who uses acupuncture (and most of the therapies we use) ultimately decides whether they work or not based on clinical experience, on anecdote. That’s natural and unavoidable to some extent, but of course it’s also problematic. If 90% of your patients really are having clinically meaningful responses to acupuncture, then it’s pretty hard to explain why such dramatic benefits don’t show up in most of the clinical studies. And unfortunately, a homeopath or Reiki master or bloodletting surgeon of the 18th century would say the exact same thing, and it’s pretty clear those therapies don’t work. It’s almost impossible not to trust our experiences, yet the evidence is strong that they aren’t trustworthy. And if we do use such experiences as our foundation for belief in our therapies, then we have to accept that every therapy is effective, because every therapy has practitioners who have identical experiences. The class has been a lot of work but interesting and enjoyable, and I’m looking forward to getting to the practicum. I’m still doubtful, of course, that there is nearly as much to be found as Narda believes, given how difficult it has been to substantiate most of the purported benefits through research even in humans, but I still see value in learning as much as I can about the practice. As I tell everyone when I lecture, clinical experience is making the same mistake over and over with an ever increasing sense of confidence. I think you’re wise to do the acupuncture course. There are sensations that happen when one receives acupuncture, that one should personally experience.